On the last day of January, with still 6 weeks of winter to go, we saw the first signs of spring sprouting in our garden. A few clusters of light lavender buds and green stems. 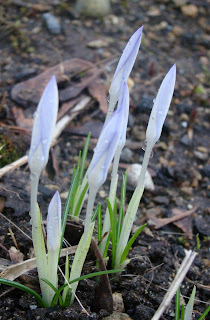 Crocus are indeed a welcome sign.